The Pythagorean theorem is one of the greatest scientific discovery of the human, and it is also one of the basic elementary geometry theorems. There are also many other names to call this theorem, like Shang-Gao theorem, Bai-Niu theorem and so on. Someone maybe will ask that what is the Pythagorean theorem. According to Wikipedia, the Pythagorean theorem “is a relation in Euclidean geometry among the three sides of a right triangle. It states that the square of the hypotenuse (the side opposite the right angle) is equal to the sum of the squares of the other two sides.” This theorem has a very long history. Almost all ancient civilizations (Greece, China, Egypt, Babylon, India, etc.) have studied this theorem. In the West, this theorem was called Pythagorean theorem. According to legend, Pythagoras, an ancient Greek mathematician and philosopher, was the first person to discover this theorem in 550 BC. Unfortunately Pythagoras’ method of proving this theorem had been lost and we could not see how he proved now. But another famous Greek mathematician, Euclid (330 BC – 275 BC), gave us a good proof in his book called Euclid’s Elements. But Pythagoras was not the first person who discovered this theorem around the world. Ancient China discovered this theorem much earlier than him. So there is another name for the Pythagorean theorem in China, the Gou-Gu theorem. Zhong Jing is the first book about mathematics in China. And in the beginning of this book, there was a conversation between Zhong Gong and Shang Gao. They were talking about the way to solve the triangle problem. From this conversation, we could know that they already found out the Pythagorean theorem around 1100 BC. They found this theorem 500 years earlier than Pythagorean. Usually in a right triangle, we need to find the length of the third side when we already know the length of other two sides. For such problems, we can directly use the formula to calculate. In many problems, we need this theorem to solve many complex questions. And then, I will introduce two basic method to prove the Pythagorean theorem. In China, Zhang Shuang was the first person who gave us the earliest proof of the Pythagorean theorem. Zhao Shuang created a picture of “Pythagorean Round Square”, and used method of symbolic-graphic combination gave us a detailed proof of the Pythagorean theorem. Assume a, b are two Right-angle side (b > a) and c is Hypotenuse. Then each area of a right triangle is equal to ab/2. ∴ ABCD is a square with side c, and the area of ABCD is equal to c2. ∵ EF = FG =GH =HE = DG―DH , ∠HEF = 90º. 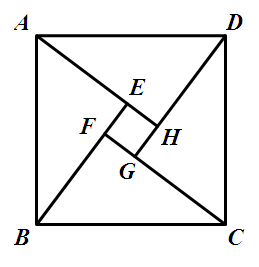 ∴ EFGH is also a square, and the area of ABCD is equal to (b-a)2. Just like we said before, Euclid gave us a good proof in his Euclid’s Elements. He also used method of symbolic-graphic combination. In the first, we draw three squares and the side of each square are a, b, c. And then, let points H、C、B in a straight line. Next we draw two lines between F、B and C、D and draw a line parallel to BD and CE from A. This line will perpendicularly intersect BC and DE at K and L.
∵ The area of ΔFBC is equal to (1/2)*FG2 and the area of ΔABD is half of the area of BDLK. ∴ The area of BDLK is equal to FG2. And then we can find the area of KLCE is equal to AH2 with the same method. ∵ The area of BDEC = The area of BDLK + The area of KLCE. 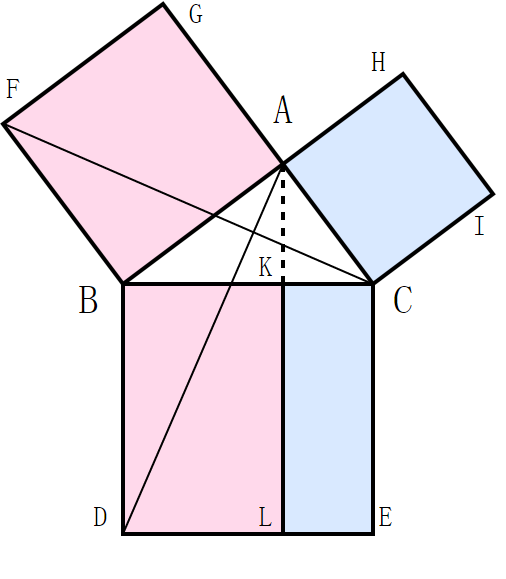 The Pythagorean theorem’s development has exerted a significant impact on mathematics. And this theorem gave us an idea to solve geometric problems with Algebraic thinking. It is also a great example about symbolic-graphic combination. This idea is very important for solving mathematical problems. By the Pythagorean theorem, we can derive a number of other true propositions and theorems, which will greatly facilitate our understanding of geometry problems, but it also has driven the development of mathematics. This entry was posted in Chinese mathematics, Geometry and tagged Pythagorean theorem on May 14, 2015 by xiaohangli0801. When we talk about mathematical discoveries certain names are mentioned. These are names like Pascal, Euclid, Fermat, and Euler. These people become our mathematician Heroes. In our eyes, we often believe they pioneered the study. When we hear names like Mo Jing and Yang Hui in western society, most of us probably don’t even think anything of them. But did you know that many of the great mathematical discoveries made in Western Mathematics were also made by Chinese mathematicians? In fact some mathematical discoveries we attribute to western mathematicians were even made by Chinese mathematicians far before they were discovered in the west. I bring this up not necessarily to shame western culture, but because I find it fascinating. We have two cultures that really didn’t intermix ideas and traditions, yet it seems that they have made many similar mathematical discoveries. In my opinion these similarities in a way show that two totally different cultures with cast differences still have profound similarities that can unite them. Also in the great debate of whether math is manmade or discovered I personally believe the similarity between western and Chinese mathematics is a point for Team Discovered. That might be only because I currently am on Team Discovered, though. I believe this is a point for Team Discovered because I feel if two separate cultures that are not trading ideas come up with the same mathematical truths then maybe they discovered them instead of just happened to share the same inventive thoughts. Still maybe this is the exact reason I should join Team Invention and I am just not thinking through my argument all the way. Let’s talk about some of the similar discoveries in Chinese mathematics and western mathematics. Let’s try to focus on the person behind a concept that both cultures discover/invented. If feasible we should mention when the discovery/invention came about and how. Also how did it influence mathematics and the human race? I won’t focus on it, but you might even want to see if what we discuss puts you on team invention or team discovery for mathematics. Now, one of the most famous mathematical discoveries is “Pascal’s Triangle.” “Pascal’s Triangle,” is a fascinating work. To describe it you build it from the top down. Put a one at the top. Build the triangle down adding 1 more number in each row. The value of the number below is the sum of the two numbers directly above it. If it is an edge case the number is 1. Image: Drini and Conrad.Irwin, via Wikimedia Commons. This discovery, made by Pascal while, through letters, he was exploring probability with Fermat, was also discovered much earlier by a Chinese man named Yang Hui. Even before Yang Hui it was described earlier by Jia Xian in 1100. 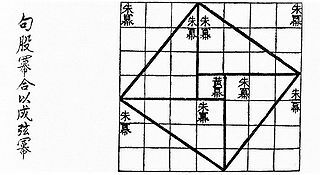 Yang Hui in his book attributes the triangle to Jia and acknowledged that it was through this triangle that he found square roots as well as cubed roots. I feel it is also very important that we discuss the book Zhou Bi Suan Jing. This book, which is a collection of anonymous works, contains one of the first proofs of the well-known and widely used Pythagorean Theorem. As a refresher, this a2+b2=c2. Controversy overshadows the actual date of the book which is assumed to be around 1046-256 BCE. We can clearly see that mathematical ideas are not monopolized by western tradition. In fact, in my studies of Chinese mathematics, I found references Pascal’s Triangle being found in India and Iran. Pascal was a genius, but clearly he was not the original discoverer of the triangle that bears his name. Mathematics is a global study, applied in many ways similarly by many cultures. Take some time and identify a culture. Make sure it is a culture that is so different from your own that, in a history class, this culture would study completely different things than what you studied. Now take what you know of your culture and the culture you chose and find similarities. Sometimes this can be hard. There are similarities such as in many cultures families eat together, but there are also many differences. What I am saying here is that in many ways math can be one of those similarities. This is neat! Math is as much a western study as it is an eastern study. So next time you are learning about a western mathematician and how awesome he/she is, take some time and ask yourself if maybe the same ideas were explored by someone else in a different time in a different part of the world. Maybe even look it up. You might be surprised by what you find. This entry was posted in Chinese mathematics and tagged Pascal, Pascals triangle on May 7, 2015 by 24lsten. In the class, we learned about the strange base-60-system of Babylon, and I was wondering were there any other counting system that seems unfamiliar to us. Although occupying more space, the expression of numbers in the binary system seems easier than in the decimal system. Then I am wondering who first invented it? It is said Gottfried Leibniz, a German mathematician and philosopher who is famous for the inventing of Calculus, first discover the modern binary number system and it appears in his article “Explanation of the Binary Arithmetic” . Leibniz also indicated that the ancient ruler of China Fuxi first invented the binary system in his work — “I Ching”; in “I Ching”, the binary numbers are being used to divine the fate of ancient Chinese people, for those people believe that the mysterious secrets of the universe are all in these simple numbers of signs. Image: BenduKiwi and Machine Elf 1735, via Wikimedia Commons. Like the decimal system, binary numbers also have their arithmetic. And for division, it is the inverse operation of multiplication. The reason why I introduce the binary numbers is that they are the base of modern science, especially the computer science. The basic element of a computer is the logical circuit, which only has two basic situations: 0 for switch off, and 1 for switch on. As the old saying: less is more. The binary system is coincidentally perfectly fitting the feature of the logical circuit(0 for no, and 1 for yes). And the logical circuit led to the invent of computer. For example, when calculating, the computer will translate the numbers into binary form and do the operations, and then transfer the answer back to decimal number like it shown above. It is unbelievable when you think of the powerful computer is based on the binary system, and considering the huge works computer have done so far, we can say that the binary system is the key of modern science and technologies. Even when I am typing this article, the binary numbers keep working in my computer. This entry was posted in Chinese mathematics, Numbers and tagged binary on April 11, 2015 by bzzb2015. The Sea Island Mathematical Manual. 1726 Tu Shu Ji Cheng 窥望海岛之图. I never read anything about The Nine Chapters on the Mathematical Art before taking this History of Math class. I heard about this book when I was a middle school student. It is interesting that I started paying attention 13 years after I graduated from a middle school. There is a chapter called “The Sea Island Mathematical Manual” in the book. I found this topic very interesting because I want to know how our ancient people solved real world problems without using any modern technology. In this blog, I will try to explore more about these sea island problems. (In this blog, I will use Nine Chapters to substitute the book title and “Sea Island” to substitute the chapter.). Before talking about the sea island questions, I want to briefly talk about the book’s history. 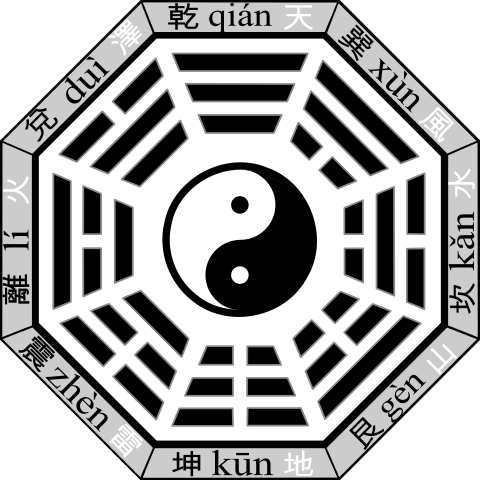 Nine Chapters was formed in the Han dynasty and it was a Chinese mathematics book that composed by several generations of scholars from the 10th – 2nd century BCE. This book has 246 real world questions, which relate to agriculture, business, engineering and solving equations, etc. It divides those questions into nine chapters. The Nine Chapters flourished between the Three Kingdoms period and earlier Tang dynasty in China. At that time this book was the primary math textbook in China and it also spread to Korea and Japan. The Nine Chapters was undoubtedly one of the cornerstones of Chinese modern math. 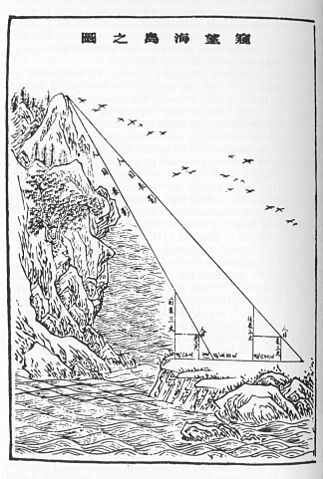 According to Nine Chapters, Liu Hui could not measure the distance of the front pole to the island, so he sets up the two poles assuming they have the same height. Liu Hui gave two formulas: height of island AB = CD * DF / (FH – DG) + CD and distance of front pole to island BD = DG * DF / (FH – DG). How do we know these two formulas are correct? I thought about these two formulas but I could not convince myself until I read a proof about them. We have to take a look at Liu Hui’s theorem for the survey first. In the above figure he proved that FH * AI = IB * BF. He called it “‘In-out-complement’ principle which showed that the area of two inscribed rectangles in the two complementary right angle triangles have equal area” (Wikipedia). This proof is very straightforward if we know his “In-out-complement” principle. From the above figure, we know □EJ = □EB and □CK = □CB, then we use □EJ – □CK = □DE. Therefore, we know the height of island formula is correct. How do we get the distance of the front pole to island? That’s from □CB = □CK. An interesting proof huh? The rest of eight problems used the “In-out-complement” principle to be solved too. I really like Liu Hui’s way to solve those real world problems, especially without using modern electronic technology. As you can see his ancient way to solve these problems was extremely important for geographical measurement and navigation industrial. If you want to learn more about rest of the questions, I highly recommend you to read the chapter 8 on the book Nine Chapters to dig more. Shen K., John NC, Anthony W.-C, The Nine Chapters on the Mathematical Art. 1999. This entry was posted in Chinese mathematics and tagged Nine Chapters on the Mathematical Art on April 1, 2015 by kingsleyzheng. “Second star to the right and straight on ‘til morning.” I’m pretty sure that if most people now took Peter Pan’s directions to Neverland, they’d never get there. In these modern times, we rely significantly less on the sky to navigate and it’s only because of the knowledge accumulated and developed over time. Finding new information usually isn’t an easy task without using prior knowledge of another subject or idea as a starting point. For example, astronomical observations used known mathematics to become more pertinent to modern-day science. 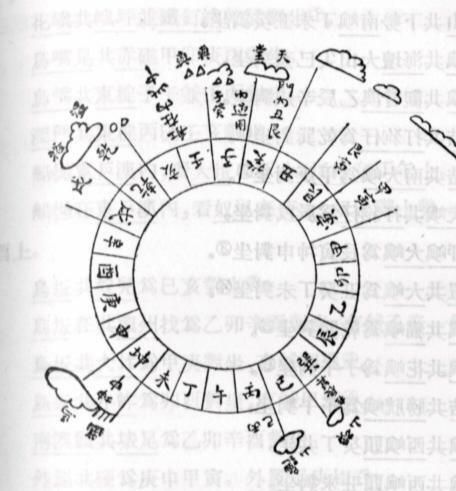 Such was the case for China, as time was measured and kept constant with the usage of the cycles of the sun and moon as well as intercalation– the insertion of days and months to make the lunisolar calendar follow the moon phases. The study of the night sky flourished for the Chinese during the Han dynasty (206 BCE – 220 CE), continuing through to the modern day. The lunisolar calendar was used to mark the passing of the seasons and special occasions. The Chinese used advanced algebra for this purpose. It was mainly equatorial based, which focused on circumpolar stars and ecliptic frameworks that stemmed from Western science. The Zhou Bi Suan Jing (The Arithmetical Classic of the Gnomon and the Circular Paths of Heaven), one of the oldest and most famous Chinese mathematical texts dating back to the Zhou dynasty (1046 BCE – 256 BCE), used the Pythagorean Theorem on astronomical calculations as well as for multiple equatorial based problems. To go into detail, one of the 246 problems in the compilation was to find the height of the sun from the earth, as well as the diameter of the sun. One person was to wait until the shadow of a 264 cm gnomon (the part of a sundial that casts the shadow) was 198 cm so that a large 3-4-5 right-angle triangle could be formed. This larger triangle would be from the sun straight to the ground, along the ground to the gnomon (forming the right-angle), and from the gnomon to the sun (angle of elevation). 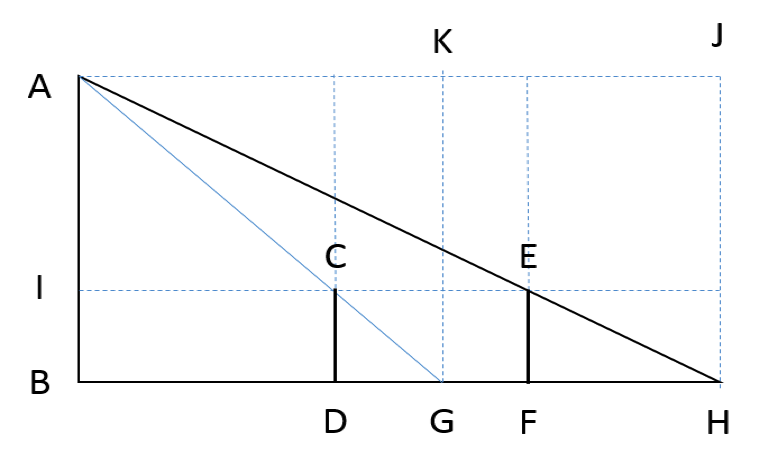 The smaller triangle, consisting of just the gnomon and its shadow, was used to find the equivalent measurements of the larger triangle so that the Pythagorean Theorem could be applied. As a result to this problem, the base of the triangle would be 24,900,000 m, the height of the sun 33,200,000 m, and the hypotenuse going toward the sun 41,500,000 m.
Moving through to the Tang dynasty (618 CE – 907 CE), Yi Xing was a well-known monk, engineer, and astronomer who had used the knowledge of the previous dynasty to work on an astronomical clock, which displayed the relative positions of the sun, moon, zodiacal constellations and major planets occasionally. The improvements on the function of an astronomical clock would later be succeeded by Su Sung during the Song dynasty (960 CE – 1279 CE), when he created a water-driven astronomical clock for his clocktower, and designed and constructed a Cosmic Engine that operated as an astronomical hydromechanical clock tower. Su Sung had worked off of the achievements of Zhang Heng, an astronomer, inventor, and guru of mechanical gears who lived from 78 CE – 139 CE. Along with that, Su Sung was among the first during the dynasty to work on empirical science and technology. Another genius during this time was Shen Kuo, who was most known for finding the concept of the geographic north pole (true north) and the magnetic declination (angle on the horizontal plane between magnetic north and true north) towards the north pole by using a more precise measurement of what’s known as the astronomical meridian (a large circle that passes through the celestial poles, the nadir (vertical direction pointing in the direction of the force of gravity), and the zenith (vertical direction opposite to the force of gravity, opposite of the nadir) for a given location). He also used advanced math to calculate the position of the pole star that had moved over many centuries, which made sea navigation more accurate using a magnetic needle compass. Shen Kuo also theorized that the sun and moon were both spherical and used cosmological hypotheses to predict planetary motion. He worked with his colleague, Wei Pu, to record and plot the moon’s orbital path for a duration of five years. However, much of their efforts were wasted thanks to political rivals who only used part of the corrected plots calculated by Shen Kuo and Wei Pu for planetary orbital paths and speeds. The Song dynasty was followed closely by the People’s Republic of China from 1912 to modern-day, during the time of rapid development in science and technology. They moved away from the study of celestial objects and focused more on the application of past astronomical studies on mechanical technology and modern science. So where the use of calculation, measurement, and logic was previously aimed toward the shapes and motions of celestial objects, it was now applied to military technology, arsenals, shipyards, steamships, and artillery. In short, the Chinese did not reduce observations of nature to mathematical laws until much later, since for a short period after the Song dynasty the focus was mainly on literature, arts, and public administration. Chinese mathematics had shifted more towards Western mathematics in terms of being used for technology and modern science rather than for astronomical studies. Despite this, China and many other Asian cultures still use the lunisolar calendar, remade each year using the same mathematical calculations from the Han dynasty. 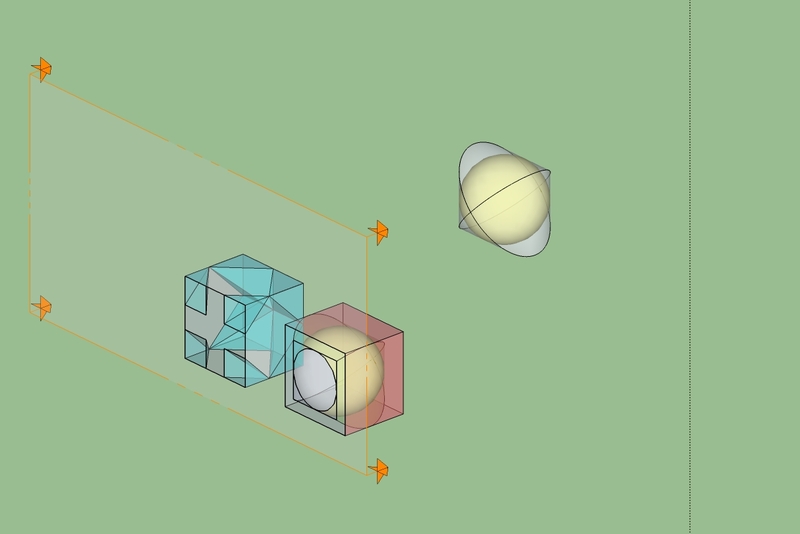 This entry was posted in Chinese mathematics, Practical Math and tagged astronomy on March 22, 2015 by redpandaoverlord. Today we are going to be looking into the different patterns in Pascal’s Triangle. I am not talking about Pascal from the Walt Disney Move Tangled. I am talking about Blaise Pascal, a famous French mathematician and philosopher. He was born on June 19, 1623, in Clermont-Ferrand, France. His mother died we he was just three years old, leaving behind his two sisters, his father, and himself. His father, Etienne Pascal, never remarried; instead he focused on educating his children, especially his son, Blaise Pascal. In 1653, Pascal released Traite du triangle arihmetique, which talked about binomial coefficients. This later became famous and became known as Pascal’s Triangle. Image: Hersfold (public domain), via Wikimedia Commons. Even though Blaise Pascal was the one to get all the credit for the triangle, the ancient Chinese actually developed it. The reason why he receives the credit for the triangle is because he discovered the patterns that are in the triangle. It could also be because the Europeans did not know about the previous discovery from China, and we have an Eurocentric math culture so we know it as Pascal’s Triangle. Before we go into the different patterns that he discovered, we are going to review how Pascal’s Triangle is made. It starts with the number one at the very top, this is called row 0. Row 1 consists of 1 and 1 and the next row consists of the numbers 1, 2, and 3. This is determined by adding the two numbers above to the left and to the right to get the coefficients in the row. For example, in row 2 to get the first number we add 0+1=1, 1+1=2, 1+0=1. You will do this process for each of the rows to get the different coefficients. Now that we know more about what Pascal’s Triangle lets look at the many different patterns that are present in Pascal’s Triangle. The first one is called the Hockey Pattern. If you start at any 1 in the triangle and go diagonally until you choose to stop, the sum of all the numbers in that diagonal is the number just below the last number, ensuring that you are looking at the number below and to the opposite side that the diagonal would have continued. If you start on the left side of the triangle you will go down to the right diagonally, then when you want to stop, you will go below and to the left of the last number to find the sum of the numbers within that diagonal. For the right side, you will go below and to the right of the diagonal for the sum. For example, look at the highlight red to see the pattern. 1+6+21+56=84. Two more patterns that are present in Pascal’s Triangle are called The Sum of Rows and Prime numbers. In the pattern, The Sum of Rows, the website All You Ever Wanted to Know About Pascal’s Triangle and More states: “The sum of the numbers in any row is equal to 2 to the nth power or 2n, when n is the number of the row.” This is saying if you pick the row 5 the sum of all the numbers in that row would equal 25. Remember that the first row is considered row 0. The next pattern, Prime numbers, states that if the second number in a row is prime, then all the other numbers in that row are divisible by that number. These are just a few of the patterns that are present in Pascal’s Triangle. 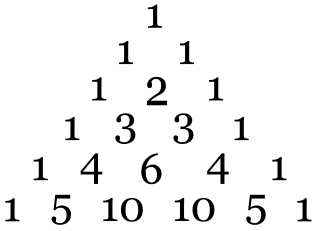 There are many more patterns and I encourage you to do some more research and discover all the patterns in Pascal’s Triangle. This entry was posted in Chinese mathematics, European mathematics and tagged Pascal, Pascals triangle on December 7, 2014 by lovenumbers12.